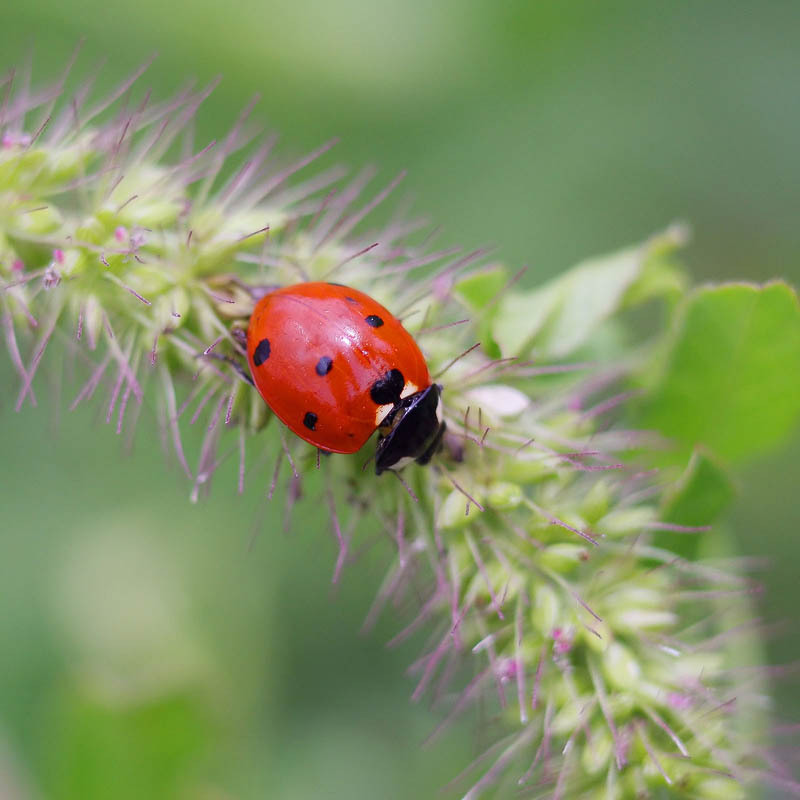 Close-up of ladybird alighted on wild plant blossom. Insect on flower bloom and blurred green background. Wildlife, nature.